can be found on this page, below the Ends Statements. In policy governance, the board sets forth a set of Ends statements which establish our general principles as well as what our congregation aspires to do. 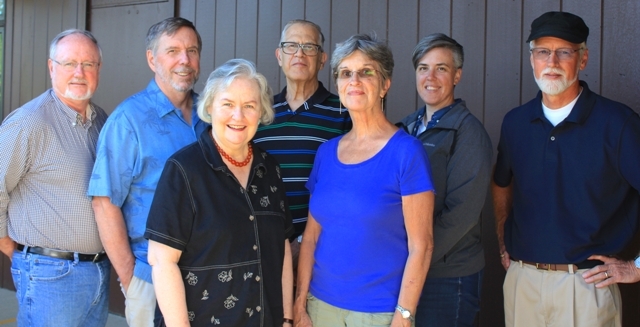 They expand upon our congregation’s vision statement, adopted in June of 2009, of “Seeking the Spirit, Building Community, and Changing the World” to provide spiritual and governance guidance to the ministers, staff, and lay leaders. The term “Ends” refers to the fact these statements are not policy which dictate “means” or how things are done, but are, rather, our expected outcomes. The Ends statements were adopted by the board in September of 2010 during the transition to policy governance and are a living document maintained by the board with input from the congregation. A rich diverse worship life. Life-long opportunities for spiritual growth through religious practice, leadership roles, and community action. Knowledge of denominational and congregational history and traditions. We have a policy of nondiscrimination — we welcome all and are supportive of people of all ages, races, gender, sexual orientation, abilities, education, and politics. We are generous with our time, talent, and resources. We actively encourage shared ministry and lay leadership. We responsibly manage our staff, resources, and facilities. We are leaders in our community and world. We are committed to social justice and equality for all people. We advocate against prejudice, injustice, and oppression of any person or group. We work with other congregations and institutions with shared values and goals. We work with the Unitarian Universalist Association and the MidAmerica Region. We help heal the earth.